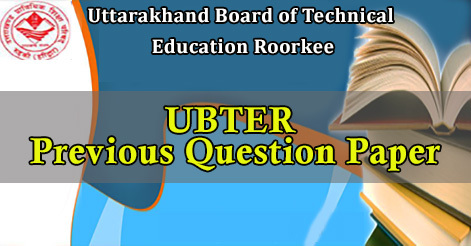 Uttarakhand Board of Technical Education (UBTER) has released Previous Question Paper for various examination conducted by UBTER. Every year UBTER conducts many examination for the recruitment in various department including some major exams like Samuh G or LT. Candidates can check and download previous question paper and take an overview about examination pattern & syllabus. Check question paper for all examination conduct by UBTER in Uttarakhand. Candidates can download question paper for all exam. Help us to improve this article/job posting "UBTER Exams Previous Question Paper". We would be glad if you can comment below and provide your valuable suggestions and feedback. If this page have any wrong information/list or out of context content, then you can report us as well. Sir plz send detail of English lt exam 2017……..
Upload new group c uttarakhand paper 2016 by ubter. sir kya group -c post code 265 sst ka exam ho chuka hai. I need group-64( Assisitant Statistical ) question paper, its notification realesed in 2014 by UBTER.